National Geographic’s Valley of the Boom is a limited 6-episode series that’s now available for viewing online and Sundays on National Geographic. It is a docudrama that follows dot-com companies and the boom of the internet in the 1990s. The first and second episodes premiered on Sunday, January 13th at 9 pm PT/ET. If you have missed it, don’t fret because they are now available on the National Geographic’s website. If you’ve seen National Geographic’s Mars, then you’ll get an idea of this show’s format, which mixes documentaries with scripted drama. The first episode is about the dawn of the internet that covers web browsers and websites. And through these sites and browsers, people are able to come together and interact with one another in the virtual space. The episode features figures and companies in the tech world who have helped shape the internet we know today. The actors even break the fourth wall. For example, John Karna, who plays Netscape co-founder Marc Andreessen, tries to make it into the documentary segment but fails. Then there’s TheGlobe.com, one of the first social networking sites trying to bring people from all over the world together. The craziest character is Michael Fenne, who’s played by Steve Zahn and is the founder of Pixelon, a “precursor” to YouTube. A part of me felt excited to see the inner workings of these companies growing, and it’s interesting to see how things come and go in its face-paced world. 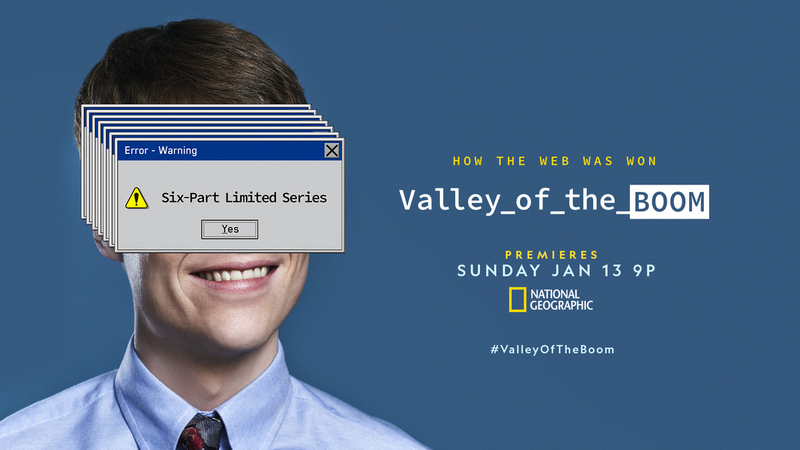 If you’re at all curious about how the world of the internet started out, then definitely check out Valley of the Boom. The miniseries stars Bradley Whitford as James L. Barksdale, Lamorne Morris as Darrin Morris, Oliver Cooper as Todd Krizelman, John Karna as Marc Andreessen, Dakota Shapiro as Stephan Paternot, John Murphy as Jim Clark and Steve Zahn as Michael Fenne.